YOUR OPINION!! What’s The Worst Song(s) You’ve Listened To In 2018? We’ve heard a lot of great hit songs in 2018 from established and upcoming artistes in the industry. We love the numerous hits so much and currently still enjoying them. Guys, get in here and have you say. I know you sure have 1 or 2 or more songs that you really hate listening to that was released in 2018. FOR ME:- I sincerely hate Kalamo by Slimcase | Commando by Wizkid. 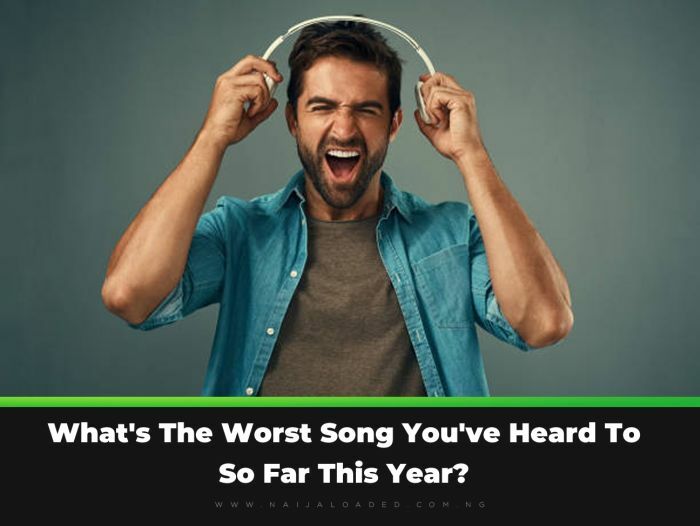 What’s The Worst Song(s) You’ve Listened To In 2018?